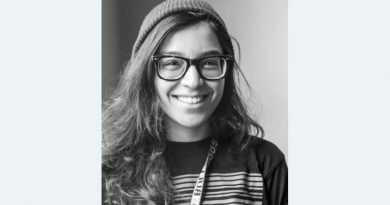 Coding with Kids! | Amazon camps begin on Monday, June 25 at the Amazon Fiona Building and run either full day (9 AM – 4 PM) or half day (9 AM – 12 PM or 1 – 4 PM). They have camps available for all skill levels from K-12 and are happy to work with parents to find the right fit for their students. Parents must provide transportation to and from camp each day in downtown Seattle and are responsible for lunch and/or snacks as well. 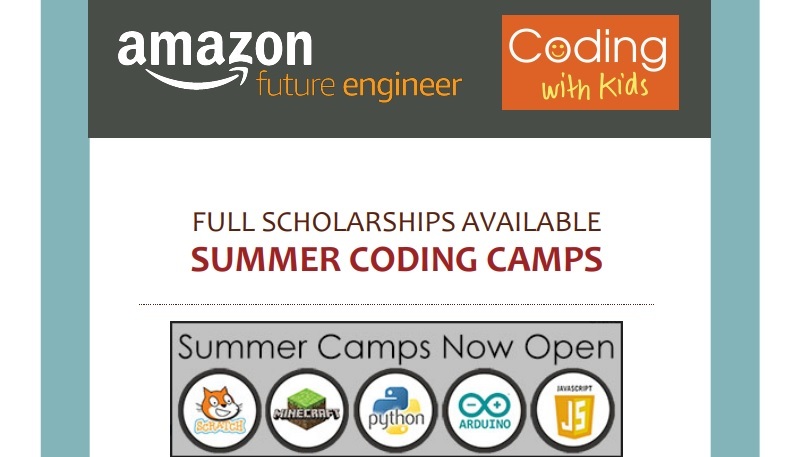 Click for scholarship consideration, and please send the names and ages of interested students and the dates of the camps to scholarships@codingwithkids.com. 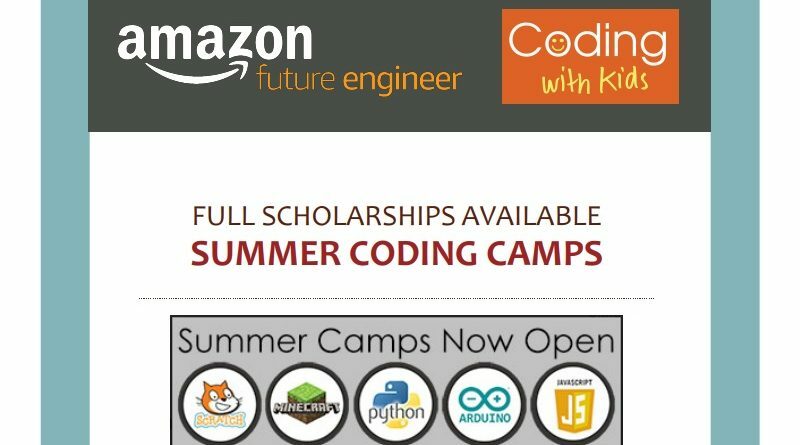 Learn More and Register at www.CodingWithKids.com/Seattle-Camps. ← Sign up for Fall PTSA Communications!